Limping onto the field for a final drive after tearing his anterior cruciate ligament, Aaron Murray demonstrated superhuman power of will by returning to aid his team in what would be his final regular season college performance against Kentucky. If this is starting to sound even remotely familiar for Cowboys fans, then this is a prospect you won’t want to miss. Aaron Murray, senior quarterback for the Georgia Bulldogs, sat in the locker room while the final snaps of his collegiate campaign took place on the field. Murray’s season was over, finishing with 24 passing touchdowns, eight interceptions, and a passer rating of 154.5. If this were the end of his football career, it would be an unfitting and tragic end for a player that shows enormous potential given the right circumstances. 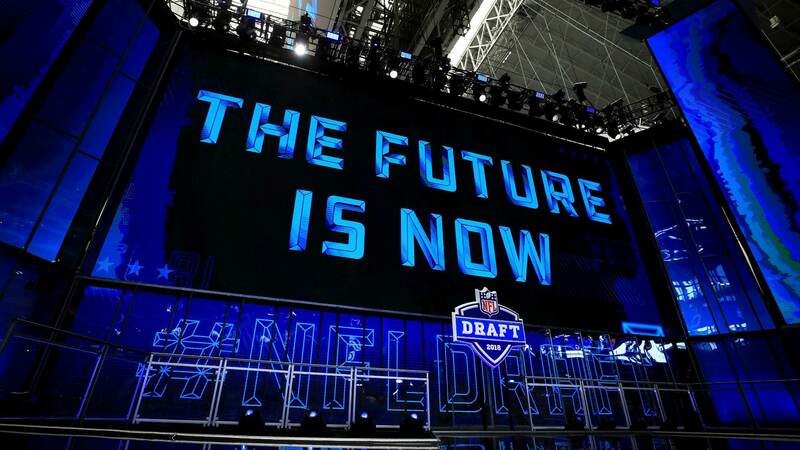 Fortunately for football fans, Murray will certainly be drafted by one of 32 teams during the 2014 NFL Draft in May. However, he may very well be hearing his name called before the final day of the draft. Murray is a very sharp quarterback mentally. His reads are normally solid and he has a fantastic sixth-sense in the pocket for feeling pressure that results in some scrambles that should absolutely give Romo fans some gleeful flashbacks. His movement is smooth and he has a certain calm demeanor that is reassuring as he steps forward into pressure to make some of his more difficult throws. His patience has also improved dramatically during his career at Georgia. 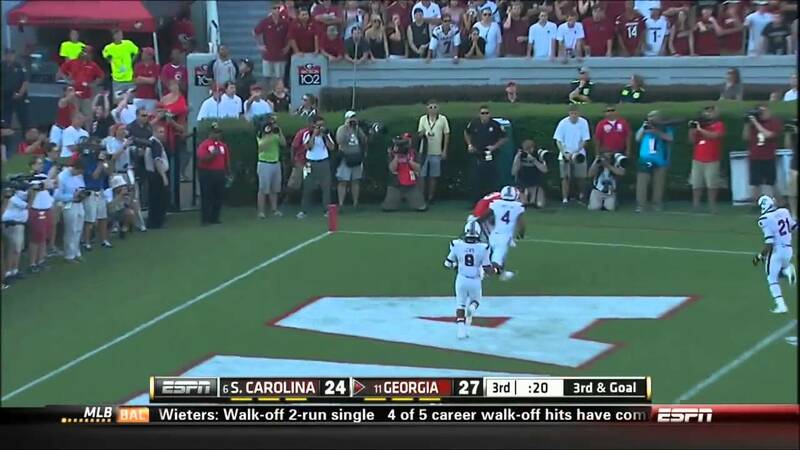 One of my favorite plays from Murray’s 2013 season can be seen against a #9 ranked South Carolina team on 3rd down and 13, with 13:13 left to play in the 4th quarter. 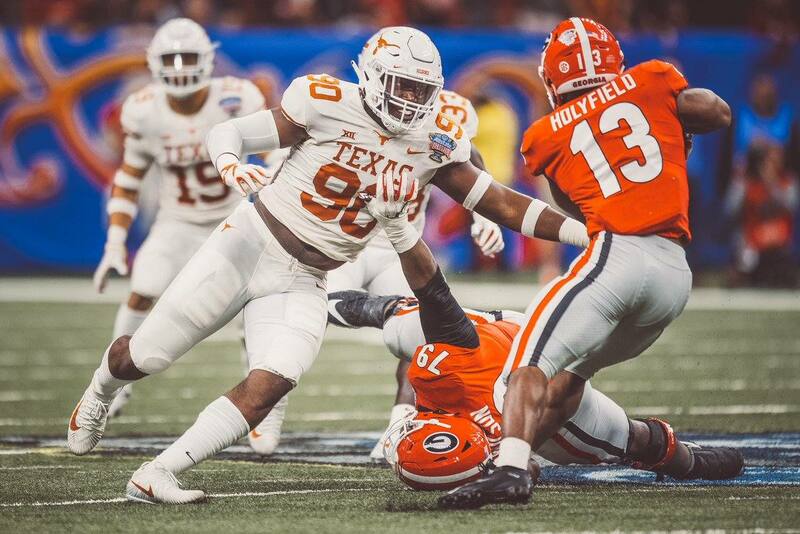 Murray takes the snap, drops back, and has no time to plant his feet before the future top-five draft pick Jadeveon Clowney has already broken the pocket by absolutely manhandling the left-tackle, Mark Beard. Clowney is bringing enormous pressure up the middle which is instantaneously identified by Aaron Murray. In that same instant, Murray recognizes that his receiver to the left running a go route has his man beat. In a single motion, Murray ducks left and takes off; using his legs to buy him some time before Clowney can get to him. He plants his feet and throws a beautiful deep ball to Justin Scott-Wesley, which is promptly taken to the end zone for an 85-yard touchdown (shown at approximately 0:41 in the above video). Aaron Murray finished his college career as the all-time SEC leader in Pass Completions with 921. Murray is also currently the all-time career leader in the SEC for Passing Yards and Total Yards. In 2012, Murray finished first in both the NCAA and SEC for Passing Yards per Attempt. Murray finished first for Passing Touchdowns in 2011 for the SEC, and 2012 in the NCAA. 2013 Capital One Bowl MVP. Murray was one of 10 finalists for the 2014 Manning Award (also a finalist in 2013). Murray certainly has a play-making ability, but is also prone to making mistakes in short-yardage downs. He finished first in the SEC in 2011 with 14 interceptions and finished 4th during his senior year with 9 interceptions, despite missing the final two games of the season. With many of his interceptions taking place on short-yard situations, his ability to make pre-snap reads of the defense comes into question. However, in my mind, this is a negative attribute that can certainly be corrected with the right amount of experience in the NFL and with the right coaching. His fluidity and ability to buy time with his legs makes him an intriguing enough prospect to outweigh some of the negatives. All else aside, Murray is coming into the draft just off of an ACL injury that will certainly hurt his draft stock to some extent. For a team that is looking for a developmental prospect, however, this may not be a deal breaker. There are a huge number of teams this year with questions surrounding their QB position. It is unclear whether Murray could be ready to play early in the 2014 season, which makes projecting where he will be picked a fairly tough job. Reports out of Georgia suggest that Murray will be participating in Georgia’s pro day and even performing select drills for team scouts. Regardless, until he is seen in April his status in regards to draft placement will remain up in the air. 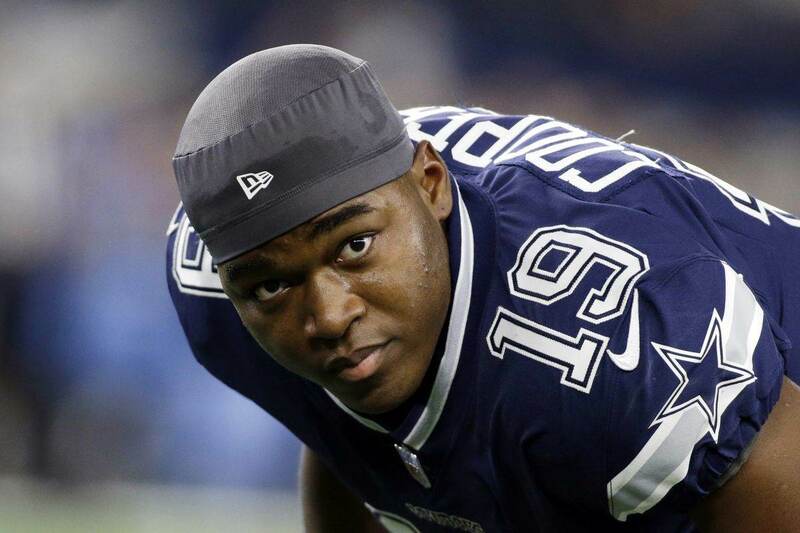 For teams with desperate needs at quarterback, Murray is likely not the solution. He needs a little more coaching and time to develop into an NFL caliber starting quarterback, and his progression may be slowed by his recent ACL injury. That being said, he may be the ideal candidate for teams that are looking to develop a successor from the later rounds. He shows extreme promise with his accuracy, arm strength, and mental makeup that could land him a year or two behind a franchise signal-caller before taking the reins somewhere. Chiefs Release QB Aaron Murray, Will Dallas Be Interested?